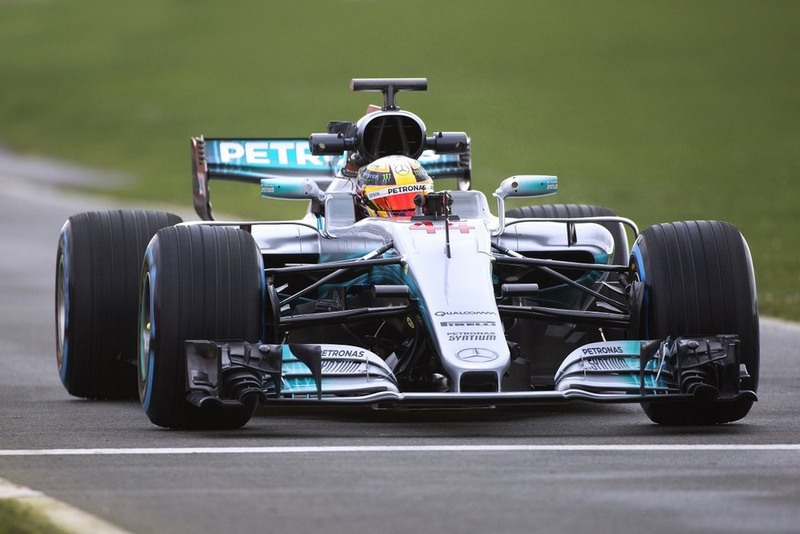 The reigning world constructors’ champions, Mercedes-AMG Petronas, have revealed their 2017 Formula One contender, the W08, in Silverstone. 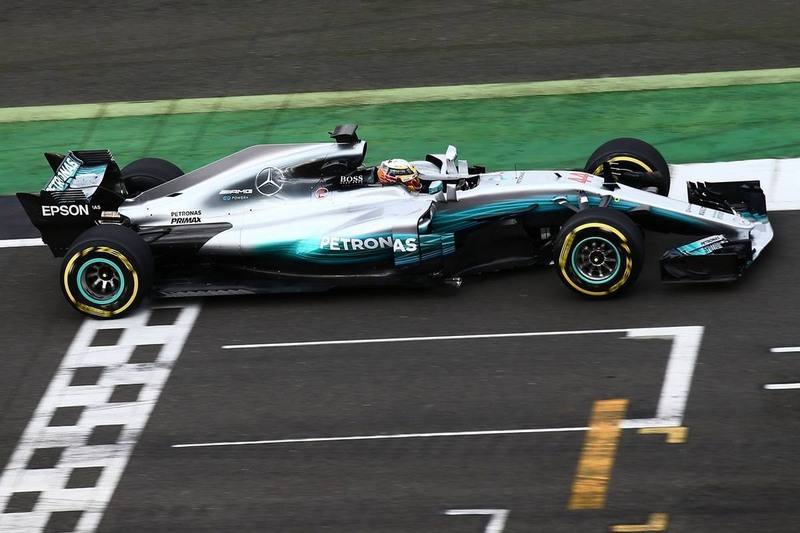 Lewis Hamilton took to the track on Thursday morning to clock a few miles of the British circuit as he was allowed to drive a few laps citing filming day. After a year long battle, Nico Rosberg claimed his first ever drivers’ championship last year at the Abu Dhabi Grand Prix. 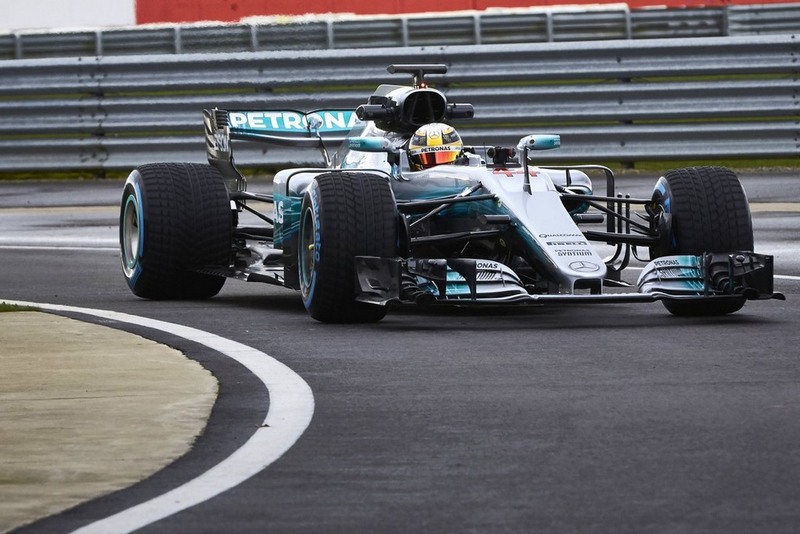 However, just days after being crowned as the champion, he announced a shocking retirement from Formula One. It came out of nowhere as the German squad was left pondering over a high profile replacement. 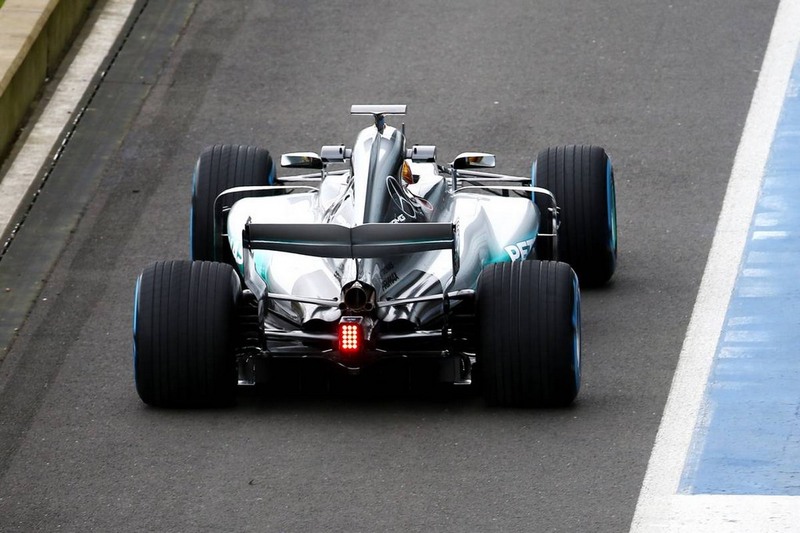 As soon as Rosberg decided to hang his helmet, many drivers were said to have approached Mercedes to seize the golden opportunity of driving for the Silver Arrows. 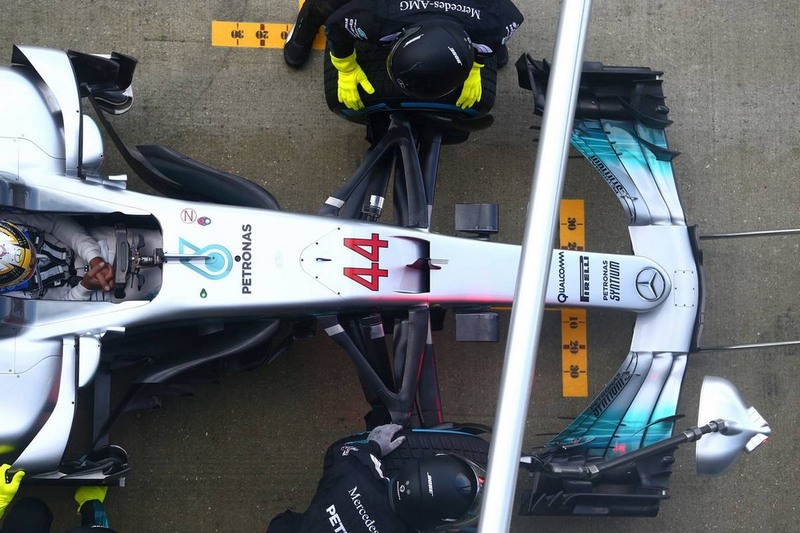 Since the advent of 1.6L hybrid-turbo engine regulations, Mercedes have had the upper hand as the factory team and its customer outfits endured sizable advantage over Ferrari, Honda and Renault powered machines. 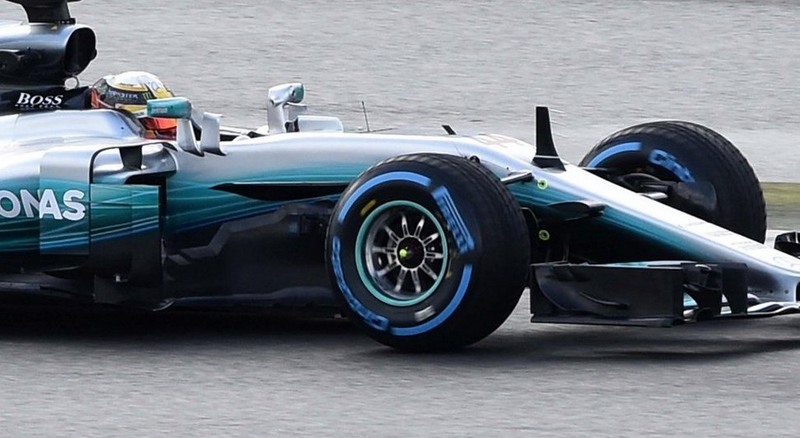 Going by an old motorsport saying, “if you want to win, employ a Finn”, Mercedes pursued after Valtteri Bottas and got the vacant place covered. Subsequently, it led to Williams calling veteran Felipe Massa out of retirement to race for 2017. 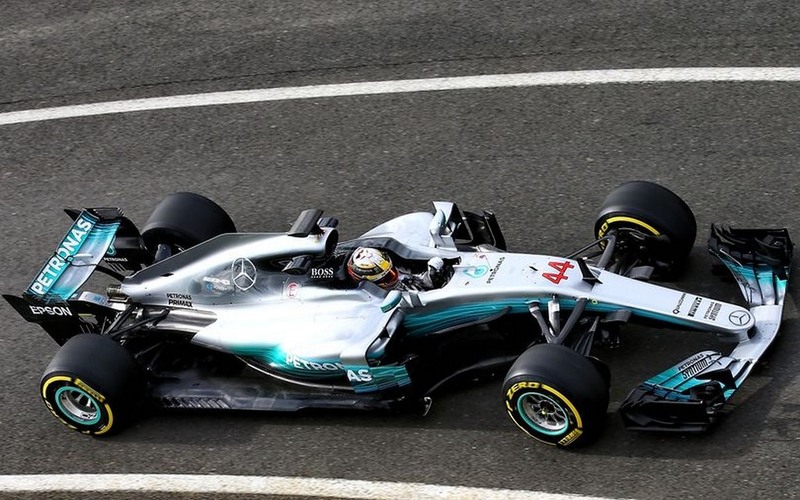 Back to the W08 open-wheeler, it is the fifth car to be unveiled this year as Sauber, Williams, Renault and Force India have showcased their speedsters ahead of opening pre-season testing kicking off in Barcelona next week. The W08 now features a small shark fin but it is expected to gain a larger version during the course of testing days. The clean nose seems to have become narrower and it gets a rounded end compared to the thumb-tip seen on other challengers revealed thus far. 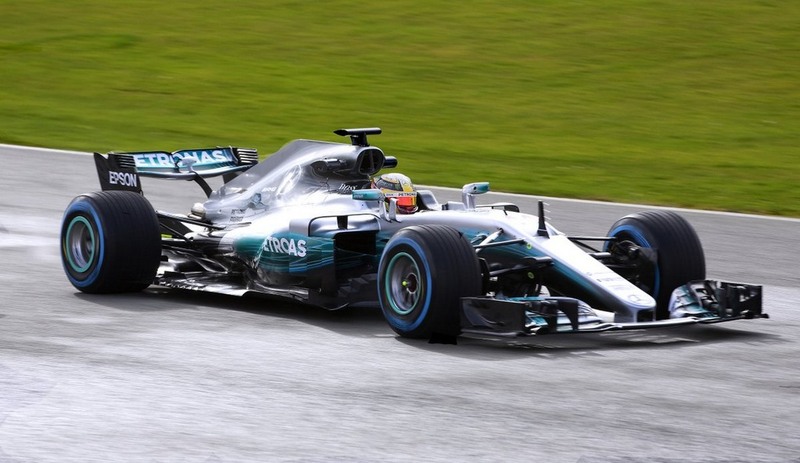 The livery is the same lively silver-grey and blue colours while the front wing is a lot wider and rear wing lowered with different profile to comply with revised aerodynamic regulations.